Welcome to our site where everything is free and we don't ask for any tithes or donations and we don't sell the good message of salvation, we freely spread the good message of our Creator Yahuah ( יהוה ) . Freely received freely given. We trust that you will be reformed and revived by the PURE Spirit of the Father and His Son, by the washing of His True Word. 2)Change HOW you serve or worship. 2 Tim 4:2... preach the Word, be instant in season and out of season, reprove, rebuke, exhort with all long-suffering and doctrine. AND YOU CANNOT BE REVIVED NEITHER REFORMED. are a true believer, a true disciple of Mashiak (pw Messiah) who truly seeks after the truth of Yah'uah's word so that you can fully obey it. 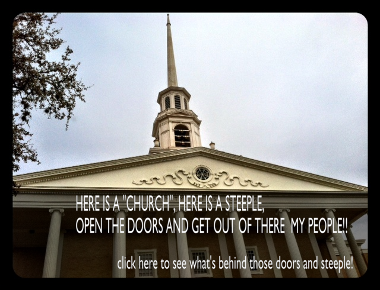 go to a "church" right now but know there is something wrong with "church" teaching. go to "church" because you think it is a commandment but know this organisation is disobeying Yah'uah. do not worship man but Yah'uah. think this place called "church" contradicts scripture. are trying to decide whether it's right to leave this thing called "church" but don't know what other options you have. First step, go here : Do You Really Want To Be Called a Christian? Then Find out the simple answers about "christianity" and "churchianity" now in this easy to follow video : Who are the Natsarim? 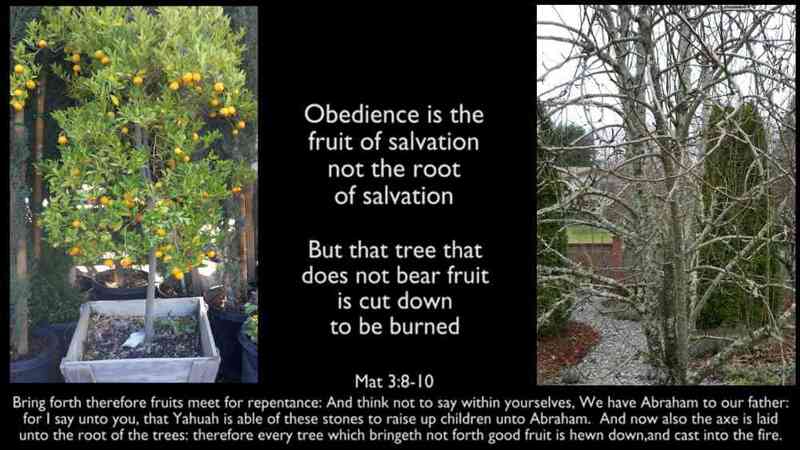 Then check out our page Sunday Worship Terms to get an understanding of the pagan corruption of the translation of the words of the scriptures. This will help you to better understand the pure good message of Yah'uah. We do try to use the pure words in our pages with the pagan word in brackets eg Elohim (pw God). Discover the simple answers to this thing called "Church" which was never in the original scriptures. You have been lied to by the Mother of Harlots, the Roman Catholic "Church" and her protestant daughter harlot"churches". Start the day by reading Scripture. Have You Heard The True Good Message? Yah'uah freely sent His Son Yah'ushua who willingly laid down his own life to die for our sins. 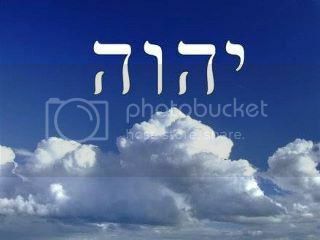 Yah'uah raised him again to life so that we may have eternal life through him . This is part of the good message ( commonly known as the "gospel" however this word is a pagan word from "god spell") . From Haggai 1:13 we see the word is "mal'akuwth" and the messenger of Yah'uah who brings the good message is "malak". The Elohim of creation who created you and me calls us to repent for he offers his Reign of shalom (pw - "Kingdom of peace"). If we do not follow the way His Son taught to enter the Rule and Reign (pw Kingdom) of Yah'uah we will be left out of it, never to be united with Him. You only have one life in which to respond to His call and one life in which to heed his commandments (the Word of Yah'uah) -after that judgement comes with eternal destruction to those who reject his salvation and commandments (there is no second chance- no Purgatory etc or second chance in a "left behind" after a so-called "rapture" scenario ). We can accept the laws of his everlasting covenant NOW or reject them and remain in covenant with the g-o-d of this world who is satan. There are only two positions according to Yah'uah. The first is "hot" -full ofmoral conviction (pw "faith" ). This moral zeal is viewed as extreme and called fundamentalism by the world and the pope. 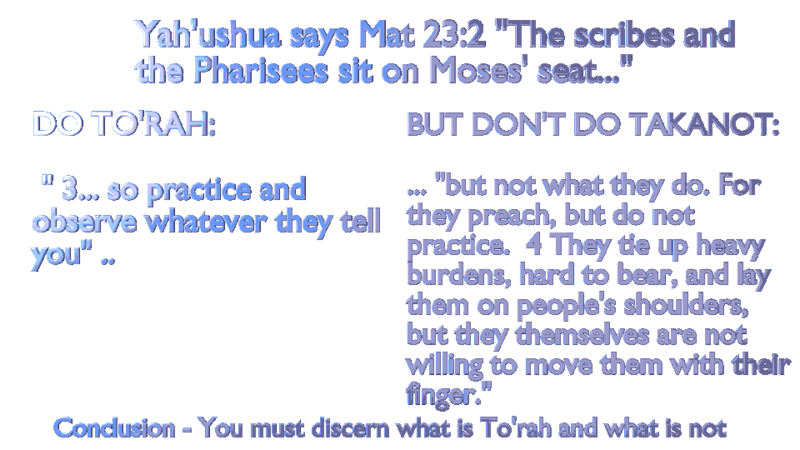 The second position is cold (rejecting the commands of Yah'uah and salvation by his Son - apostasy as the scriptures call it). A mixture of the world and the scriptures is compromise. It is either lukewarm or "cool" as the worldly false spiritual system, called "church", likes to be and look these days. But there is no lukewarm or cool middle-of-the-road, half in the world, half in the spirit walk that Yah'uah will accept. A lukewarm state is spiritually destitute. Rev3: 15 ‘I know your works: you are neither cold nor hot. Would that you were either cold or hot! 16 So, because you are lukewarm, and neither hot nor cold, I will spit you out of my mouth. 17 For you say, I am rich, I have prospered, and I need nothing, not realizing that you are wretched, pitiable, poor, blind, and naked. 18 I counsel you to buy from me gold refined by fire, so that you may be rich, and white garments so that you may clothe yourself and the shame of your nakedness may not be seen, and salve to anoint your eyes, so that you may see. 19 Those whom I love, I reprove and discipline, so be zealous and repent. " Much of what is taught in the lukewarm To'rahless mainstream "christianity" today is either corrupted, a straight lie from Catholicism and its anti-Hebrew* so-called "church fathers". A large portion of this is due to the perversion of Shaul's (Paul's) true epistles. His words have been diluted, misquoted, used out of context and the result is confusion from satan. (*Hebrew-means one who has crossed over and out from Egypt's / the world's rule to Yah'uah's rule). One cannot sit on the border between two countries and serve two masters. What if everything you thought you understood about the good message has been perverted by false teachers who twist Paul's words? What if apostle Shimon (Simon Peter) was already warning you that men would pervert Shaul's (Paul's) true words? II Peter 3:17 "...being led away with the error of the lawless"
What if Peter is making it clear to avoid the error of LAWLESSNESS (anti-To'rah)? What if your pastor or "church" has already done this to you? What if you have placed your trust in so-called "church fathers" rather than what scripture truly says. Now is the time to renew your mind. Now is the time for reformation in your spiritual life. now for an in-depth study on this! Our mission is to obey and keep all the commandments that Yah'ushua commanded and these are the commandments of his Father that he kept. This includes the least of the commandments to the greatest. 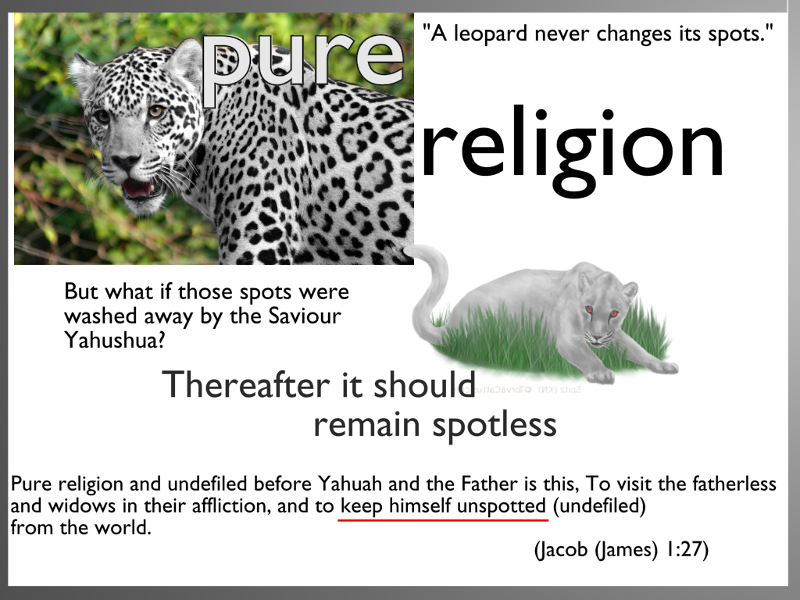 These exclude animal offering which Yah'ushua abolished by his own offering. It also excludes those laws which cannot be done due to eg absence of the physical temple and Levitical priesthood eg tithing ) . Those to be kept include the 10 commandments not nine so including commandment four : the sabbath (seventh day) and other commands such as wearing of tzitzit (blue tassles) to remind us to keep the commands, not eating unclean food (pork, shellfish etc as commanded in Leviticus) and so on........ We are of the Natsarim (Nazarite sect), as the early congregation of believers were referred to, and as the apostles and disciples followed Mashiak ( pw Messiah) according to the To'rah. We are part of the Reign of יהוה (YHUH) which is presently in us. We reject the notion or false doctrine that Yah'ushua IS יהוה (YHUH) but accept him as stated: the Son OF יהוה (YHUH) who is greater than the Son by his exceeding omniscience (all knowing) concerning the time he chooses to make his Son return (of which the time he does not know), among other things (click here for more). We are grafted into the natural branches of Israel. Our aim is to not be partakers of Babylon ( the harlot "church" or gathering of interfaiths). As commanded we are not to partake of her sins no matter how she may encourage unity to avoid the very calamity that she is creating by sinning (eg lusts and idolatry, environmental destruction or otherwise). Her own sins will bring plagues upon her and we are to be separate - qodosh ( pw - holy from holi). We seek a spiritual Rule and Reign (pw - Kingdom) of יהוה (YHUH). We encourage, admonish, rebuke and reprove according to scripture without respect of persons. We are anonymous on this site so that splendour (pw glory)may be directed to יהוה (YHUH) and not to self. We may refer to other materials and organisations when helpful but do not necessarily agree with all their teaching and doctrine or endorse their ministry. We do not call ourselves "christians" or associate ourselves with their corrupted doctrine. Instead we are Natsarim according to scripture. (See "Who are the Natsarim" to find out more). We are not theologians, philosophers or motivational speakers who seek the lusts of the flesh and the pride of life. We are not part of any organisation. We do not support "church" attendance but the assembly of true believers (see the circus called "church") We are not under any name but the name of Yah'ushua and his Father יהוה (YHUH). We are not a denomination. We are not under any apostles as Paul was the last. We are not under an earthly spiritual Father. We are not a movement. We are not Seventh Day Adventists. We are not part of the World Council of Churches, we are not part of "church" (from pagan godess circe - circus ) We are not Universalists neither are we part of the Universal (Holy Catholic) Church of "God", we are not subject to the Vatican. We are not corrupted by Constantine or so-called "church Fathers". We are not Talmudic politcal Zionists of Zion but submit to Tsiyown the government of Yah'uah subject to his To'rah which of course excludes Kaballah and Talmud or any takanot (vain Rabbinic teachings). We do not subscribe to the traditions of men but to the Word (Torah) of יהוה (YHUH). We are not Liberation theologists. We are not building or supporting the building of an earthly "Kingdom" or Temple. We are not "Once Saved Always Saved" preachers (click here for more). We are not of a Messianic movement mixing false Rabbinical tradition, mysticsim, kabalah, numerology, catholicism with Torah but we do follow the true Mashiak (pw Messiah) and Torah as he restored it to its full honour in line with Yah'uah's standards. We are not in support of Chrislam, or the Ecumenical Movement. We are not convenanted to a secret society or other satanic club which defies the commandments of יהוה (YHUH). We do not support Hillsongs, New Creation Church or any similar charismatic movement. We do not support the Word of Faith Movement, Pentecostal movement or Toronto Blessing. We are not "christians" a negative term incorrectly ascribed to true believers, talmidim (disciples) of Yahuah (for more see Do You Want To Be Called a Christian?). "Christianity" is a pagan cult that existed long before Mashiak and had those same idolaters who deified crosses and bowed to them. We do not ascribe power to a/the cross but declare the power over death that יהוה (YHUH) demonstrated by raising his son after his death upon the torture/ persecution stake. We are not Trinitarians. We are not "legalists" bound to men's philosophies such as evolution or humanism, but aim to be lawful (Torah obedient), subject to the perfect law (Torah ) of יהוה (YHUH) and the law of freedom (not godess Liberty) in Yah'ushua which demonstrates the Pure Ruach (pagan translation: holy spirit/ghost)and intent of Torah. We are not prosperity "gospel" preachers. We do not look forward to a physical temple to be built in Jerusalem but a temple that descends from above that is not built with hands. We are not to be sinners as a profession. We do not make merchandise of the hearers of the good message. We have NOT yet attained perfection in Mashiak but are striving towards it in Yah'ushua. We are not self-righteous as we do not do what we believe is right but what Yahuah says is right according to his law /To'rah so that we can be righteous as he is righteous. Here we see Joseph Prince's occult background coming into play at the Hillsong conference 2008. He is saying forget about the past, don't be angry with yourself (in other words it's not about repentance to Yahuah. Then he shows the satanic salute with his hand pointed at the people. He says "that should take care of the guilt" then he says it again and s hows the salute, this time, he sticks out his tongue. This is a deliberate satanic serpent occult sign. You will also notice the signet ring on that pinkie finger as well. He does not wear it all the time. So he is cursing the people saying Satan will take care of their unforgiven sin as he takes them to gehenna (false translation: hell) with him. 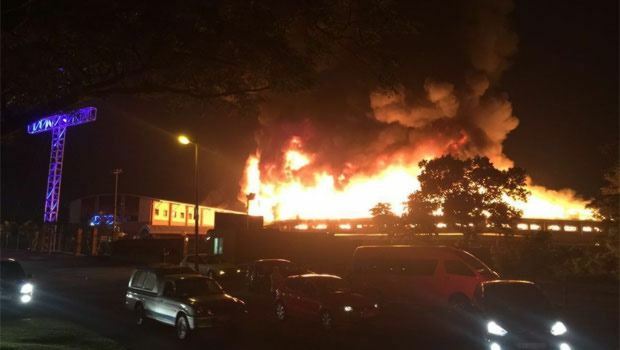 SOUTH AFRICAN MEGA CHURCH DURBAN CHRISTIAN CENTRE JESUS DOME (HOME OF BENNY HINN'S SO-CALLED APOSTLE) BURNS DOWN :SHOULD WE BE SURPRISED? (*church-from circe=circus-to Helios sun god-Correct word is assembly or congregation). Believers do not have to keep the sabbath (the seventh day) pure. [see what crazy doctrines, against the sabbath, are being taught] Coming Soon -TD Jake's anti-sabbath teachings exposed. Believers will not have to go through tribulation but will be "Raptured" first. Believers go straight to "heaven" when they die rather than at the first resurrection when Mashiak raises his righteous children. The wicked will be tortured eternally by Yahuah in gehenna (pagan word :"hell") fire rather than Yahuah completely destroying their spirit and soul by fire. We are not to judge false teachers / "touch not the anointed"
Believers who try to keep the law (To'rah) of Yahuah cannot inherit his "blessings". follows Mashiak (pw Messiah) and Yahuah. Many "christian pastors" teach that Nelson Mandela should be followed. That a physical haykal (pw temple) must be built in Jerusalem before Mashiak (pw Messiah) returns. That we are all children of "God"
John 8:42 Yah'ushua said unto them, If Elohim were your Father, ye would love me: for I proceeded forth and came from Elohim; neither came I of myself, but he sent me. 43 Why do ye not understand my speech? even because ye cannot hear my word. 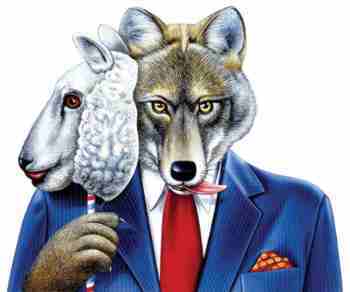 44 Ye are of your father the devil, and the lusts of your father ye will do . He was a murderer from the beginning, and abode not in the truth, because there is no truth in him. When he speaketh a lie, he speaketh of his own: for he is a liar, and the father of it. 45 And because I tell you the truth, ye believe me not. Those that love the Mashiak and obey the truth that they should keep his Father's commandments and stop sinning are the children of Yahuah. Even after being atoned by the blood of Mashiak (pw Messiah) one cannot be righteous as we are all sinners- "all our works are as filthy rags"